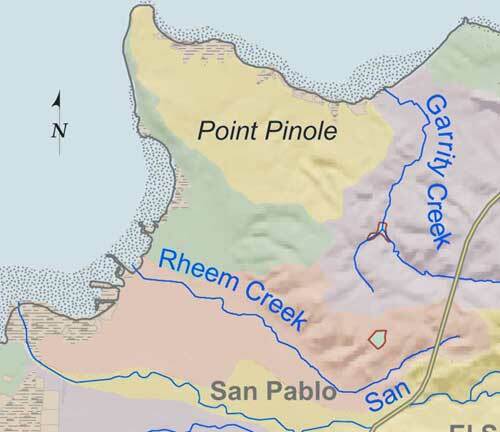 Between the mouth of Rheem Creek and Point Pinole a small watershed drains through Parchester Village and out through Breuner Marsh. 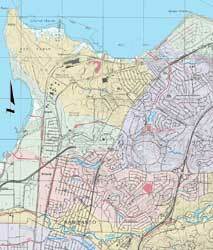 Most of Point Pinole is drained by surface flow directly onto the bay. On the north side is Whittel Marsh. East towards Garrity Creek, a series of small channels drain the hillside and a temporary pond.